How is Carnival celebrated in Tuscany? 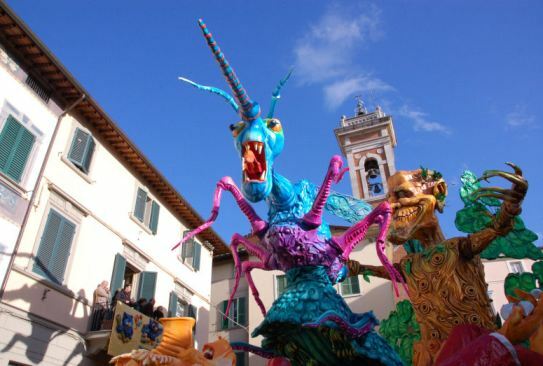 Carnevale in Tuscany is celebrated in the the same way as Mardi Gras. This celebration is helpful as many people are suffering from the winter blues. It seems to pick up peoples’ spirits. Carnevale consists of everything from masks, costumes, extravagant floats, typical Tuscan food and of course wine. The most famous celebration each year is held in Viareggio. You may have thought Florence would be the biggest and most famous, but you would be wrong. Carnevale always happens 40 days before Easter in which the date varies. This year it is on March 8th. But the entire season of Carnevale starts much earlier. Florence’s celebration of Carnevale is definitely not the most important one but it does exist. In the month of February is when things start picking up, mostly happening on Sundays. There will major floats and parade travel down Lungarno Vespucci with multi-generational themes to each float. The biggest event is the “Florence Carnevale in the world” that consists of floats made from 3 dozen countries. 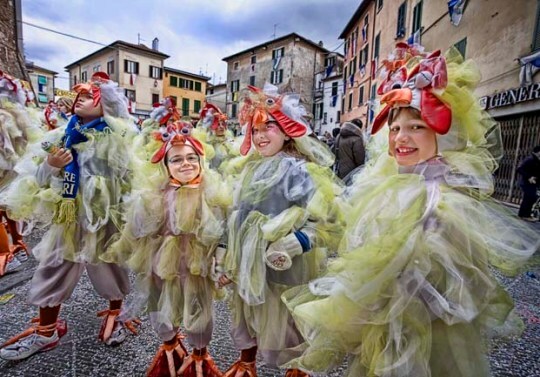 The oldest Carnevale celebration is in the walled town of Foiano della Chiana which is located in the east of Tuscany. This Carnevale dated back 1539. Back in the day, participants would throw chestnuts and cod to the spectators who were along the parade route. There are four districts and there is a contest on whose float is the best. They mock people in the town by featuring well-known personalities. Before the burning of the king of the Carnevale, Giocondo, they read through the positive events and things that happened in the town the year before. Lucca on the other hand holds the Carnevale business. 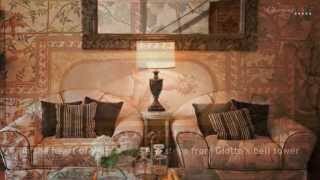 They hold events like shows, concerts and parties in beautiful villas. No parades go on in Lucca, normally. Arezzo, a hilltop town in eastern Tuscany, hold “Carnevale dell’Orciolaia” which is a free parade celebration that flows through the city. 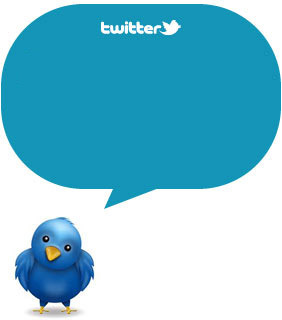 They usually have popular themes that are recognizable. 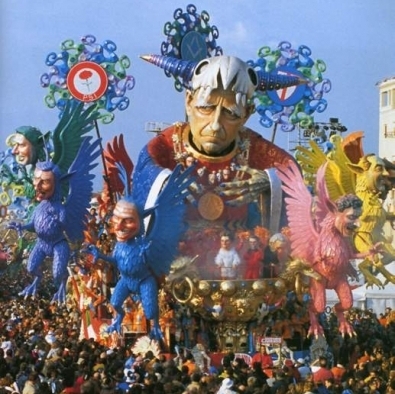 Now onto the most famous Carnevale in Tuscany is in Viareggio. It is a resort town along the seaside. It first came about in 1873 and they have never missed a celebration but only during the World Wars. This is considered one of the very best spectacles in Italy. Blacksmiths and carpenters are asked to create these memorable floats which take many months to build. 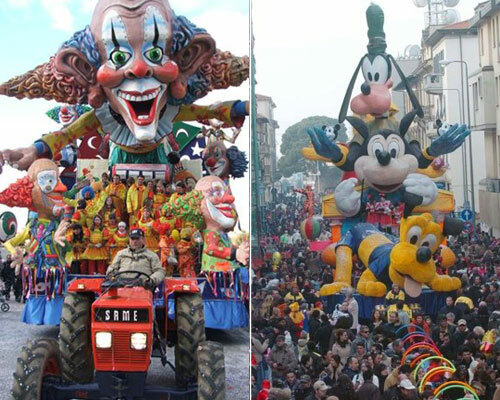 These floats are usually satirical with the international public in mind as well as the Italian population. Don’t be surprised if you have to pay an entrance fee to see this parade. 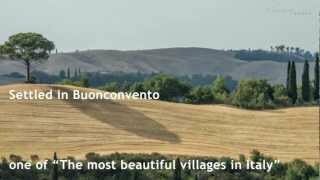 Since it takes much time and effort to put on one of the most famous shows in Tuscany. While you are gallivanting around Viareggio be sure to grab some local wine to tickle your taste buds.